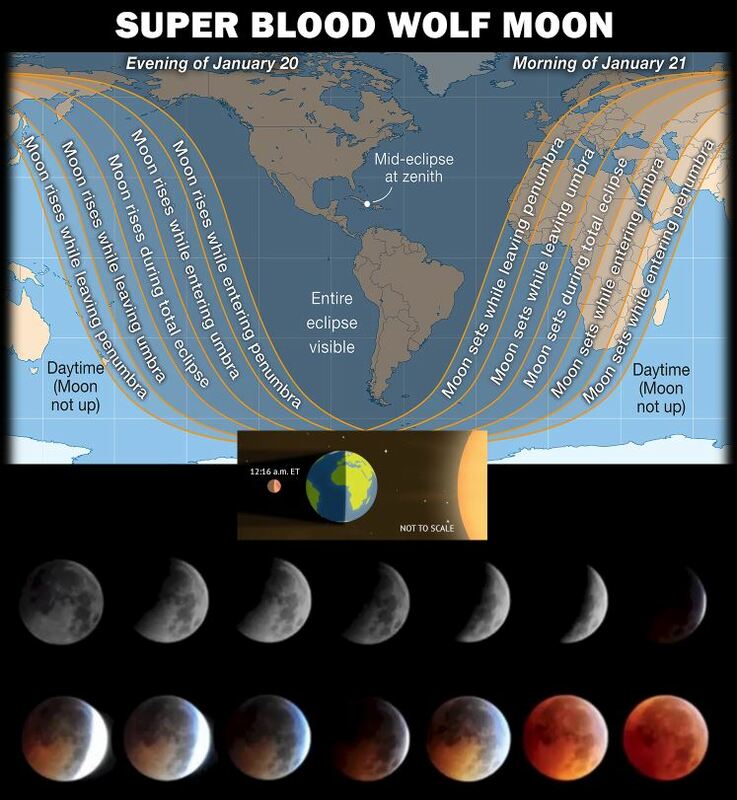 The lunar eclipse will be at its peak on Jan. 21st at 12:16 a.m. Eastern Standard Time. Wolf Moon: January’s full moon. Blue Moon: When two full moons happen in the same calendar month.